I have had a few newer climbers asking me how I setup my system. I think though with mechanicals like the Runner, or Akimbo (maybe the Bull Dog Bone.....? not sure never used it yet....) it all comes down to dialing the adjustment for the line and your weight. What is everyone else doing for a system? I know most are the same but I know a ton of climbers change small things here and there. I don't show it in the vid but I use my Croll often that is attached to my upper of my harness. LOVE IT! Jim, I have 2 BDB's and live over by Willow Grove. We will have to climb sometime, can't have you unfamiliar with the bone or the Uni/drum combo. Has nothing to due with you getting an Akimbo before I got mine, lol. Sorry for the derail but are you using Mammut Bionic HMSs in your video Mr. Fairfield? Yes and before you reply (I assume with that is not a triple action biener)...... I know this. Have had no issues with it either, along with no issues with a screw lock (although I don't have them anymore in rotaion, but if I did I would use it). Sorry Fairfield, I wasn't going there, Mammut did make a triple action in that style, which I hoped you had. I collect Mammut gear and was going see if you wanted to sell it or trade for a new one in the updated version. I also use screw gates and twist locks . I can do that with ya, pm me when you get a chance. Looks great! Where can you get an Akimbo? I'm working on a time machine. Quick hop into the future and back with the Akimbo I figure. Except for the " Cool Crowd" ! Jim doesn't know it yet, but the Akimbo he has isn't actually real, none of them are. simply a mass hallucination, like UFOs and the loch ness monster. Holy crap this is some good drugs!!!!! nice video, good cinematography. 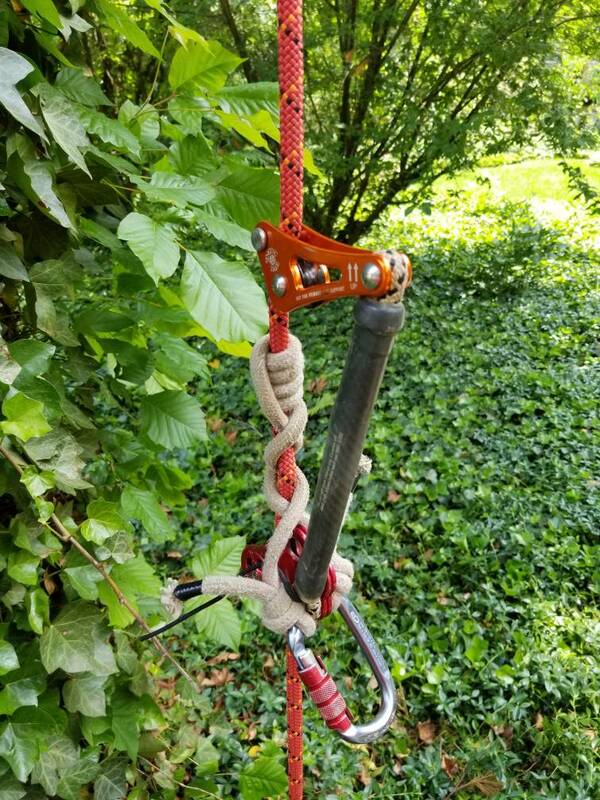 i run a similar set up minus the magical drug induced device from space CT foot ascender, homemade HAAS with a bungee running over the shoulder to the rear attachment point of the saddle, neck tether (to free up my lanyard and i use the cordage for other tricks in the canopy) and usually a Rope Wrench. Rope Runner comes out for the big trees (that aren't conifers cuz sap no good on a Runner or my fav rope). Love this discussion. I recently started climbing SRT and can use all the inspiration I can get. I climb on a 11 mm Sterling workpro rope with a rope wrench and 8mm hrc prusik tied in a 4 over 3 vt, Weaver Chest Box for slack tending, HAAS Velox knee and CT foot ascender. Absolutely love the setup!